Another post via Earl at Asu Camp. Who want’s to go this spring? 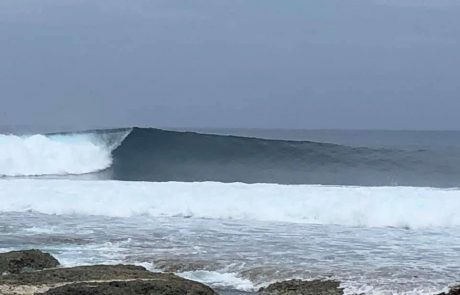 Earl over at Asu Camp reports that the Indian Ocean is alive and “swell”… He has already had solo sessions in overhead waves out front. 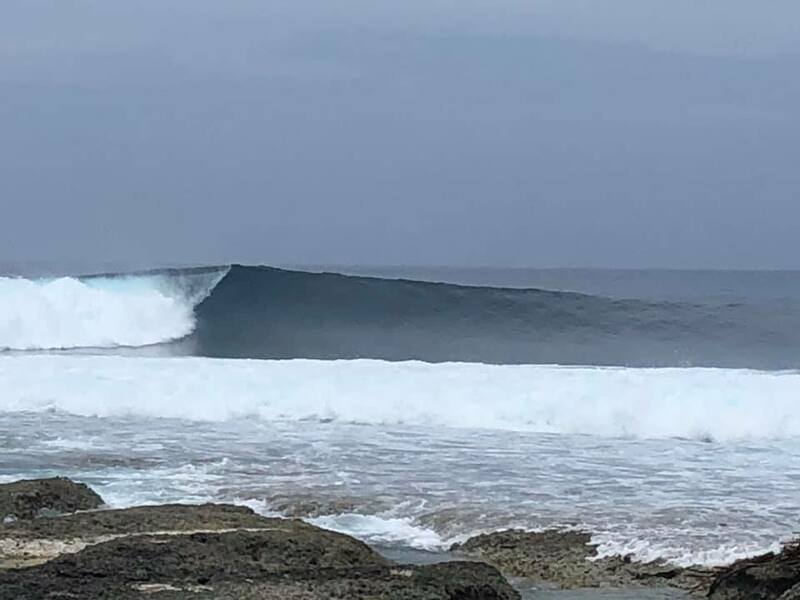 Glassy, warm, February conditions with no one around and waves all day. Looking for an escape from Spring winds and upwelling this March? Get in touch with Josh and lets make it happen. Looking for early season magic? 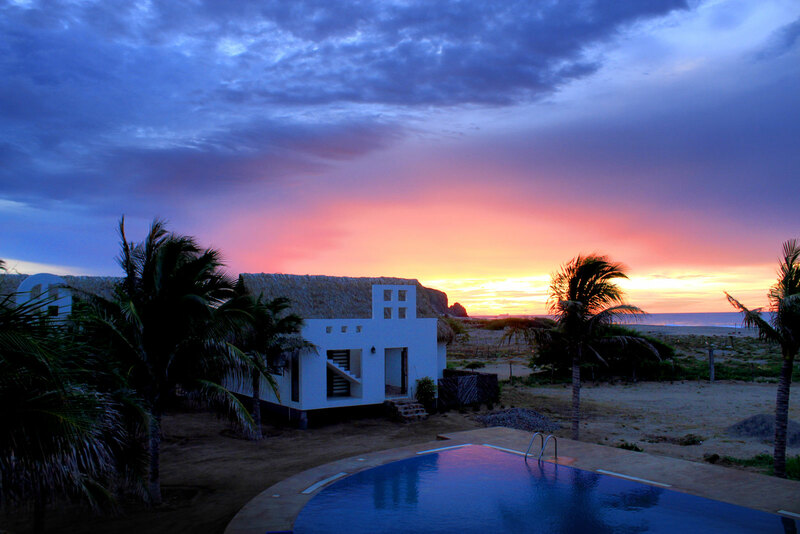 Las Palmeras surf season is just around the corner. 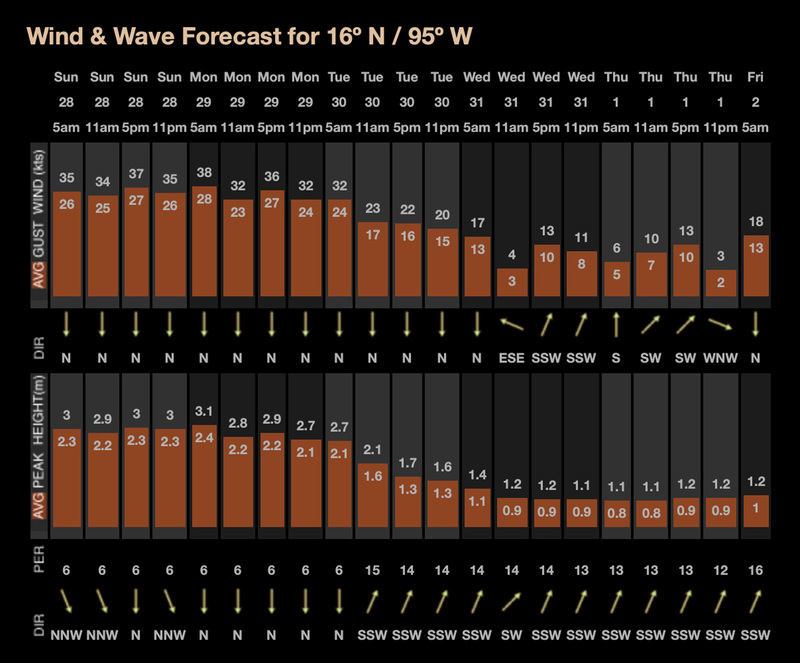 Winds are even good next week. Fingers crossed for a South Pacific filled March! Earl just sent us these images from his first session of the year at Asu Camp. 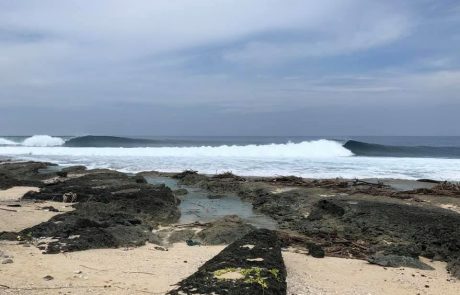 No one out, glassy, overhead lefts pumping down the point. Want a spring time escape? Asu might be the spot to go to. Let us know if you are interested. We are offering some great deals right now to get you over to Asu. 2019 Mexico Season is Coming! 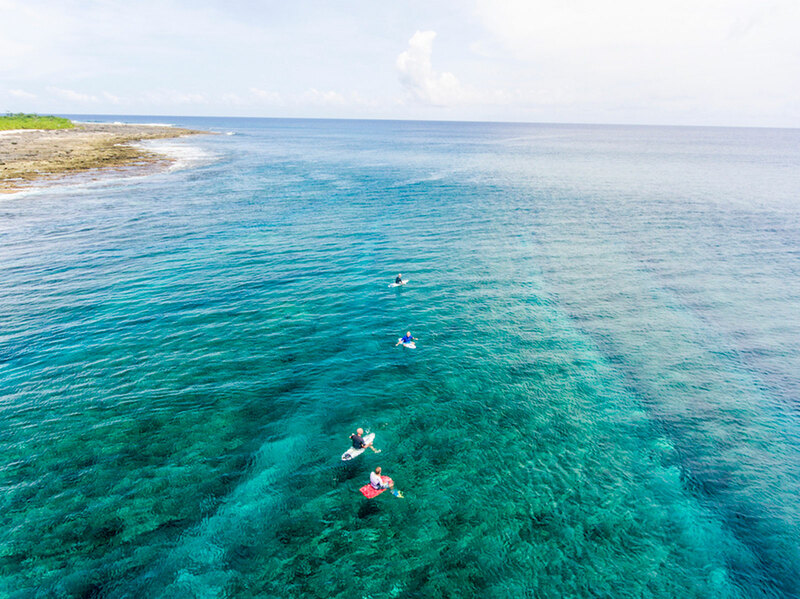 Already thinking about a warm water escape for 2019? 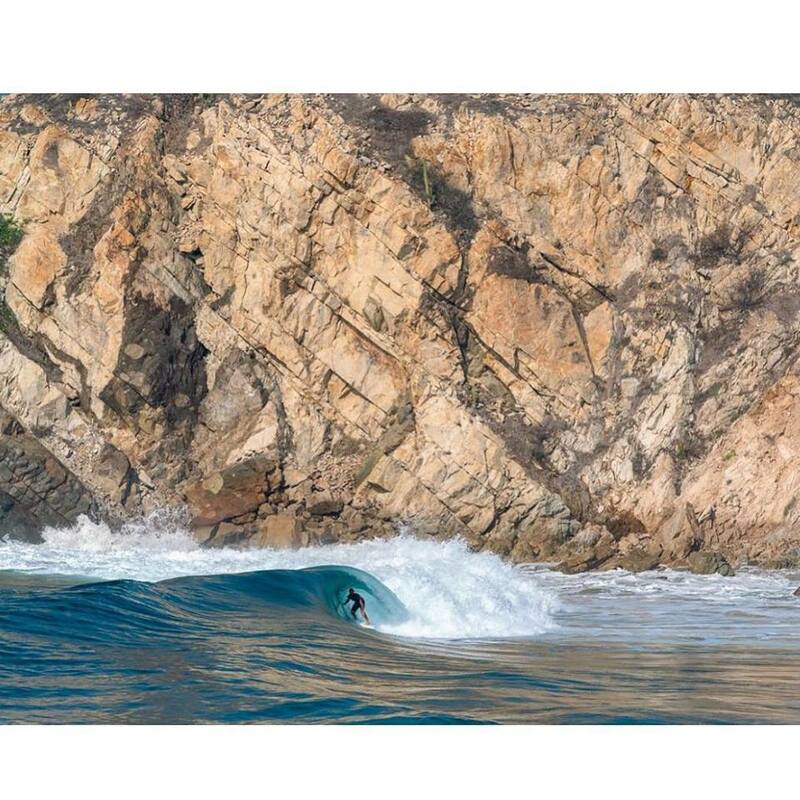 Then Salina Cruz, Oaxaca should be on your radar. Pricing goes back to regular rates starting the 1st of February. Book now and get 10% off your package for all trips in 2019. 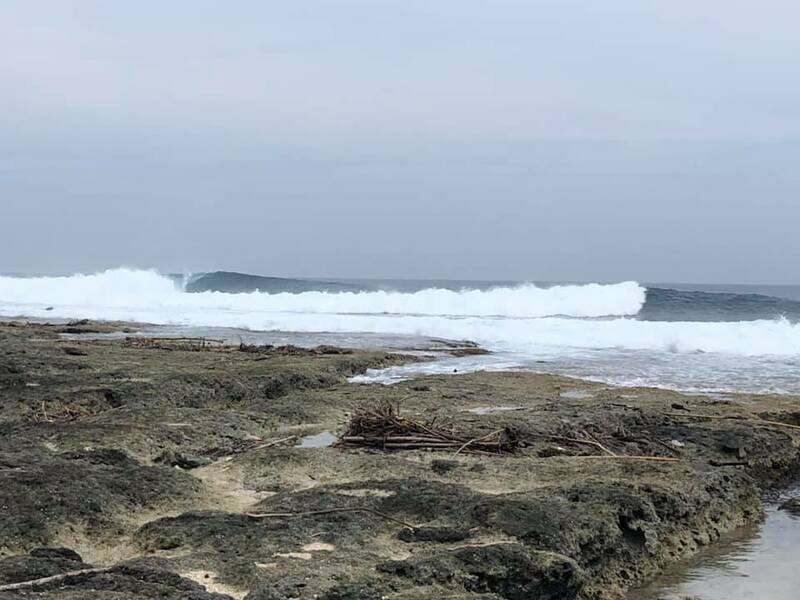 Las Palmeras Surf Camp opens March First, 2019. (Earlier if there is swell!) Let’s go! 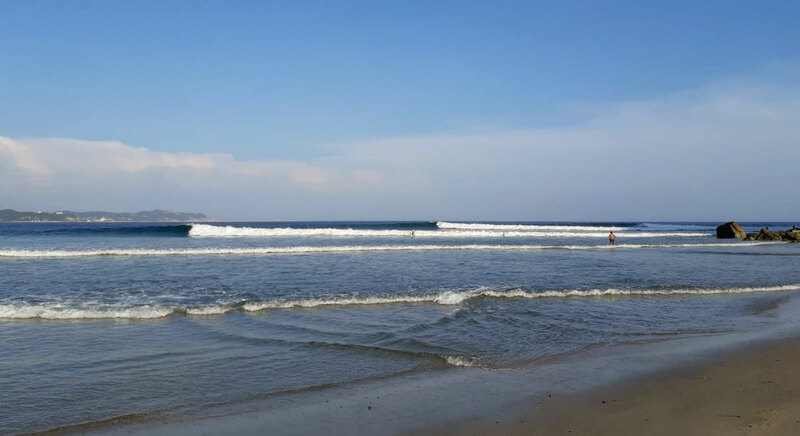 Come down and surf our sand bottom points here at Las Palmeras Surf Camp with your friends. Please contact Josh Mulcoy for all the information you will need. 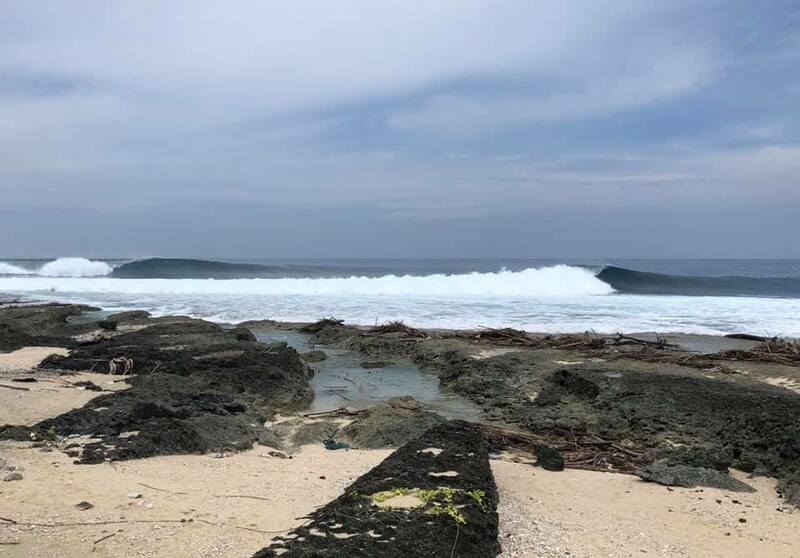 Check out boardless surf travel with AWAYCO. Awayco has over 50 boards stashed at Las Palmeras Surf Camp, with affordable options for insane equipment. This is an article that Earl from Asu Camp wrote. His words really resonated, and I am re-posting word for word. Read on! 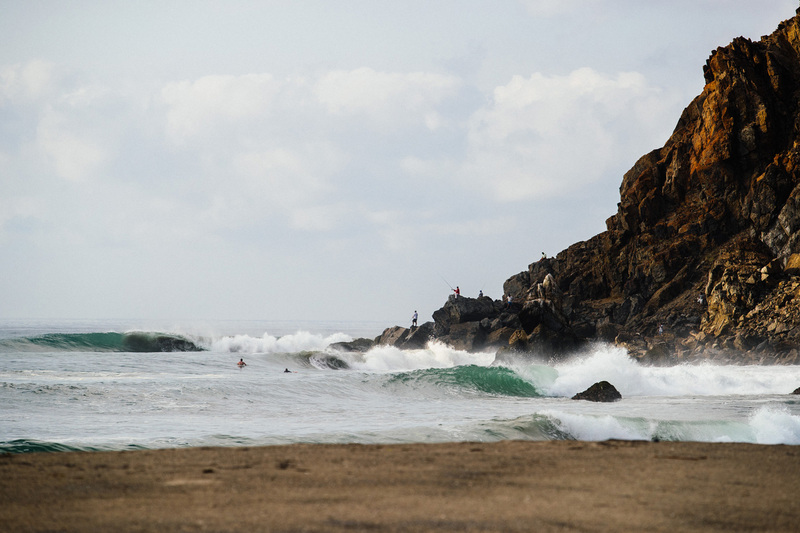 What do we mean when we say that you can surf Asu and our surrounding breaks with NO CROWD? 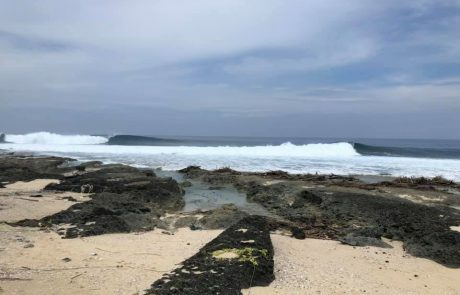 As the world surfing population skyrockets, with surfers coming from nations that don’t even boast a single kilometer of coastline, can surf destinations like Indonesia really offer the same vibe that was found in the water 40 years ago? 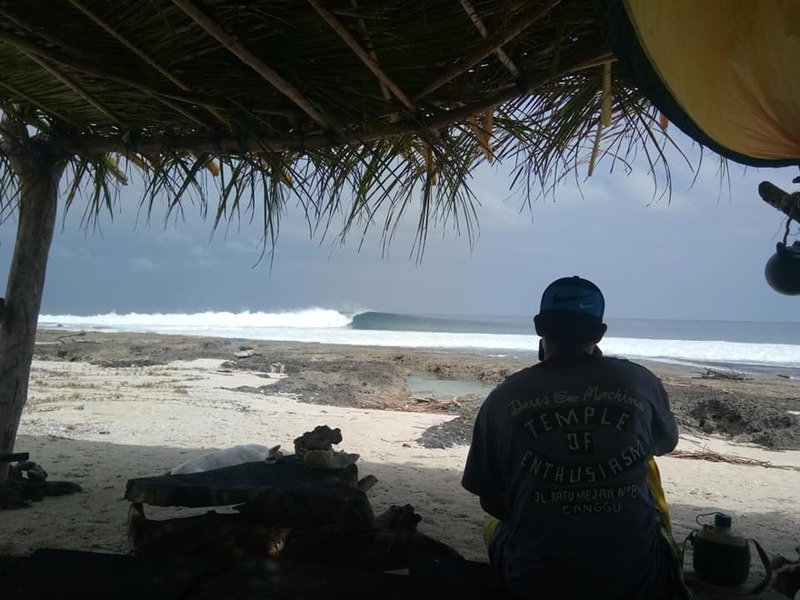 I have been spending a lot of time in Bali the last 2 seasons, surfing Uluwatu with maybe 100 heads lined up almost shoulder to shoulder from the Racetrack up to Temples. 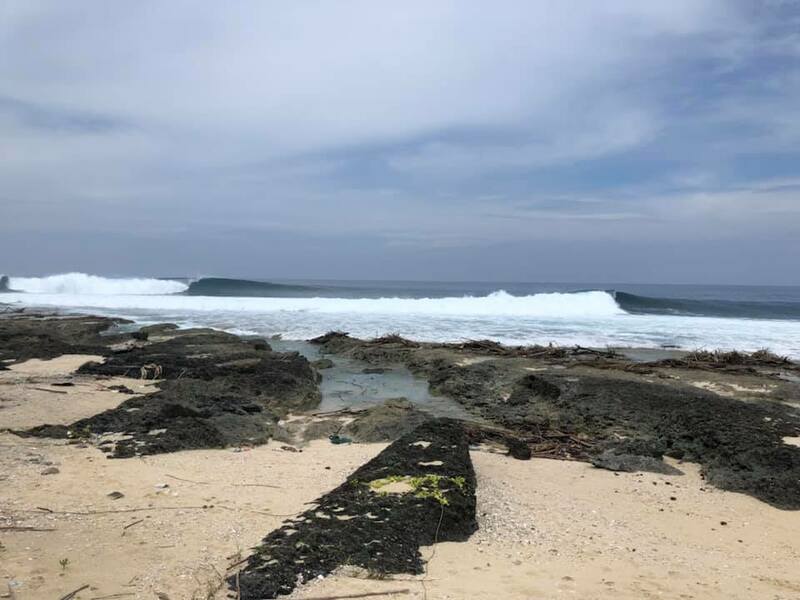 I have spent many sessions down at our famous neighbor Lagundry Bay, Nias with 40 people on a takeoff the size of a helicopter pad. 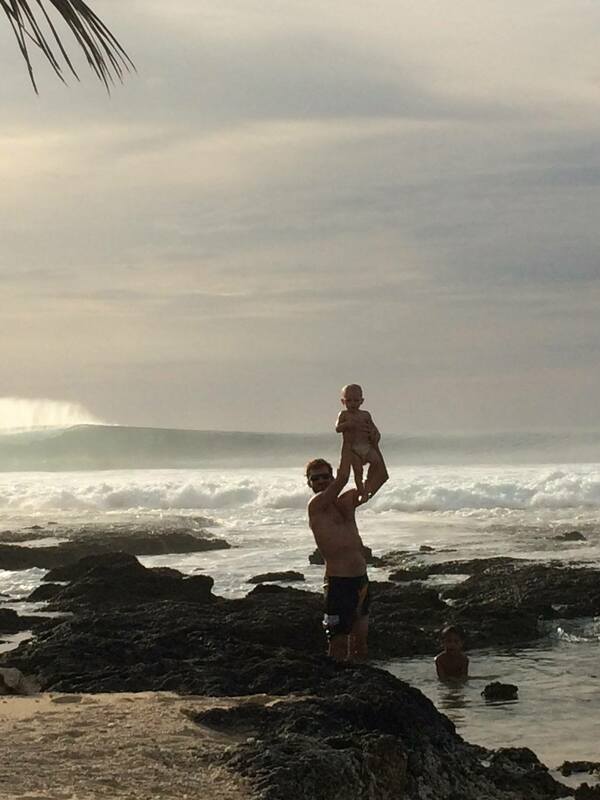 I have surfed Mundaka with more than 60 people in the water, Pipeline with 40+…the list goes on. I am familiar with crowds and in my opinion a crowd is a defined by multiple people paddling for the same wave. 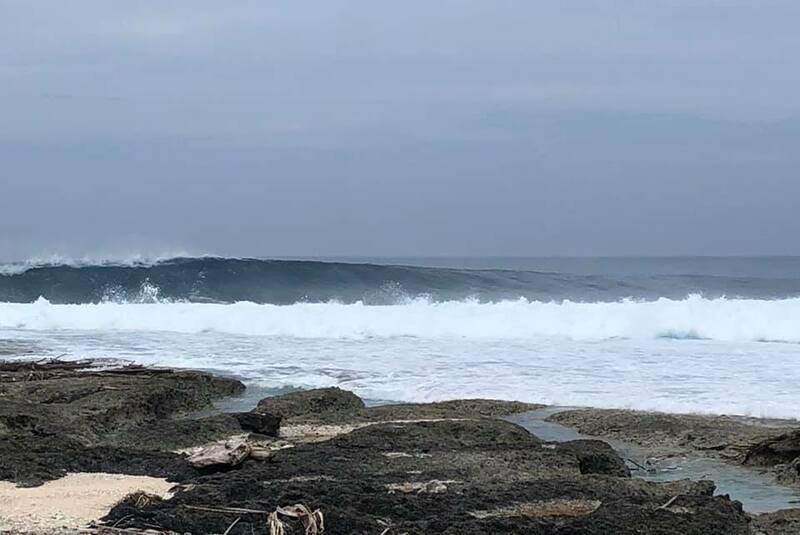 A crowd is a group of surfers, sitting shoulder to shoulder, yet not recognizing one another, not respecting one another, not lining up to share the bounty that the ocean delivers. Why? Because let’s face it, most of us are in this for ourselves, many of us on our dream trip of a lifetime and trying to make the most of it. 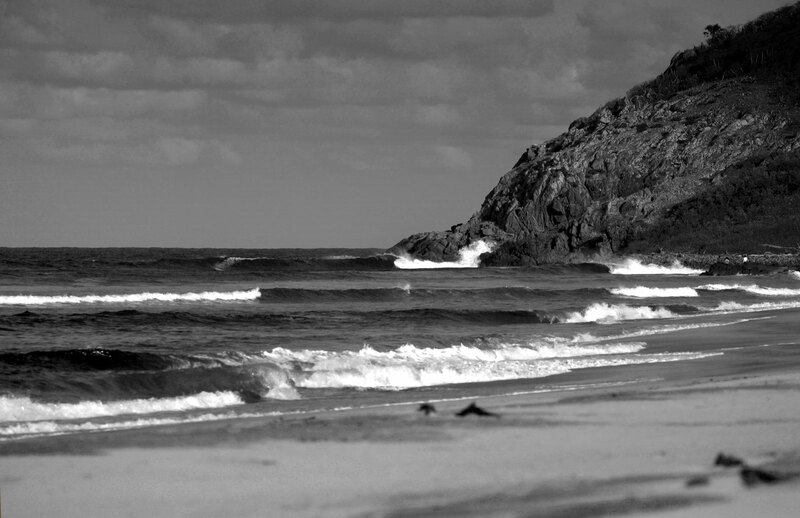 Some of us just think that we surf so good we have the right to these waves over others that don’t surf so good. Some of us just plain don’t understand the basic principles of the surfing code and brotherhood and sisterhood that goes with it. At Asu, we find that the adage ‘bad roads bring good people’ most often rings true. We are far, it takes a lot of time and effort to get out to the Hinakos. Not as much as it used to, but still, we are off the beaten path. So that means that most of the surfers that come all the way out to our neighborhood are here for the same thing. Sharing a truly good vibe and sharing the bounty. The lineup at Asu is normally 0-10 people. Most of those people know each other’s names and have established a relationship at some level, they are not pretending that the other doesn’t exist, they are not wearing blinders so that they can pretend the guy sitting 1m to their inside isn’t there to catch the next set wave that comes in. 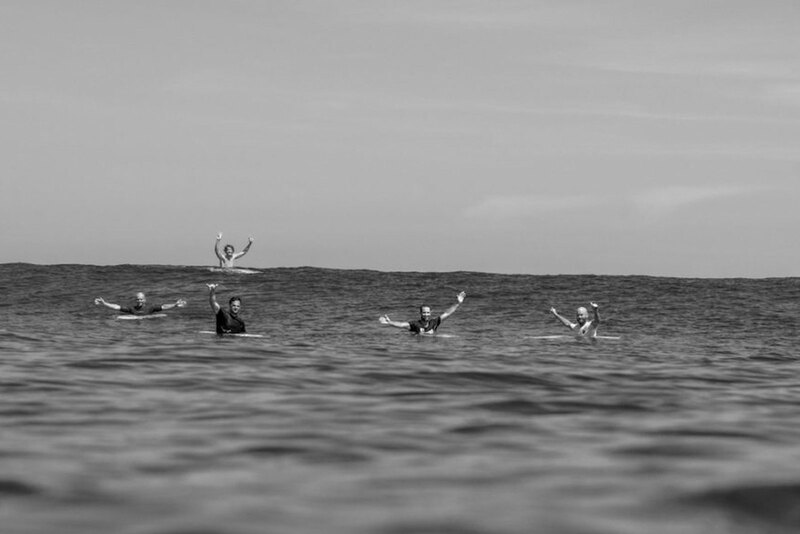 Ours is a lineup of respect, of sharing, of caring, basic human principles that can engage each of us on the same goal, to have fun and share waves. 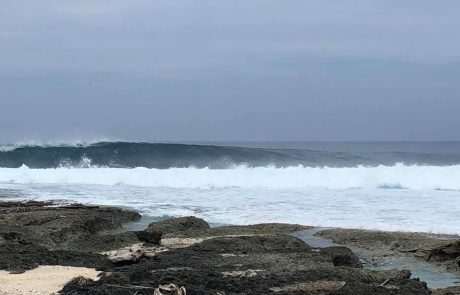 So when we say that we don’t have crowds out at Asu, we mean that you are most likely to find yourself surfing with 4-10 other like-minded surfers. 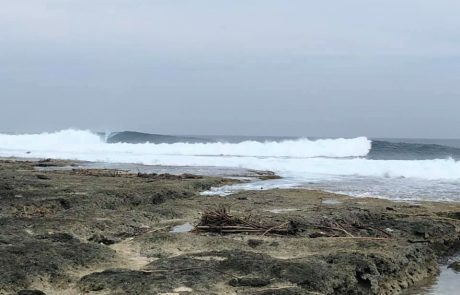 We also have 9 other breaks in our area, that we surf mostly by ourselves when we take the boat out. 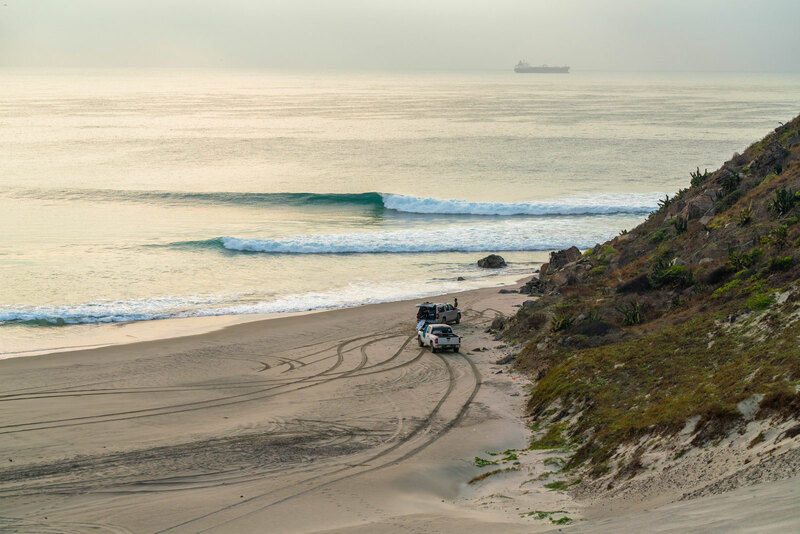 There’s nothing quite like the feeling of pulling up to an empty lineup. 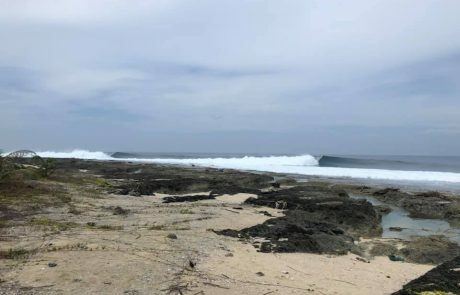 So, if you’re keen to catch that feeling of what it was like to surf Indonesia 40 years ago, before the hoards of surfers invaded Bali and the big name spots with well trodden paths and cheap accommodations, then give Asu Camp a try. 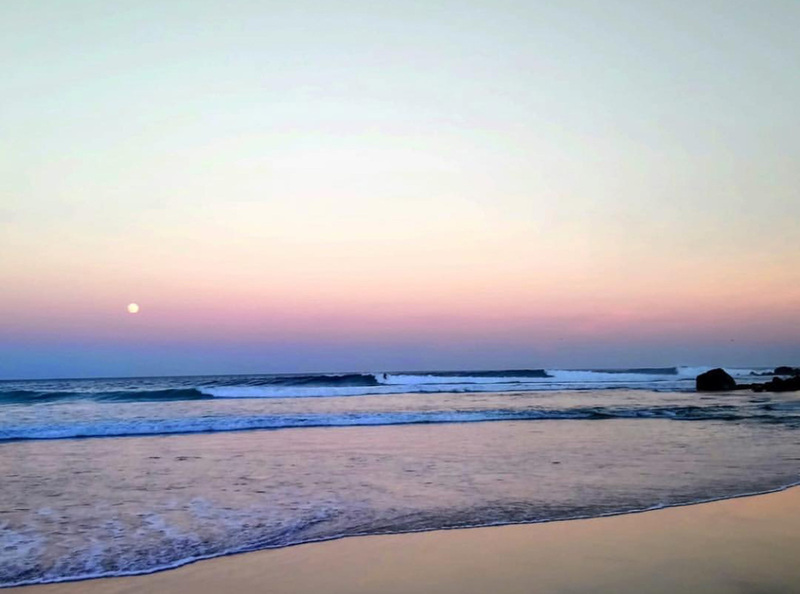 Come and feel the peace in our place, share the bounty that exists in our lineups, and make meaningful friendships with kindred spirits who from the great reaches of our crazy connected planet, find themselves sharing waves with complete strangers turned friends. We just sent out an email, but we are sending one last alert for 2018. Amazingly, the forecast is still on for this upcoming week. 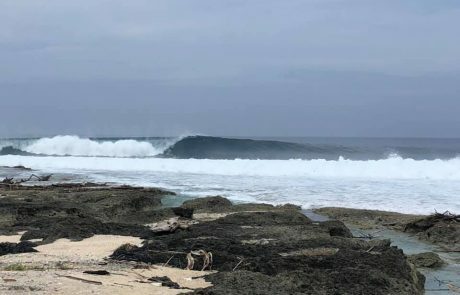 Check the forecast for this week in Southern Mexico. 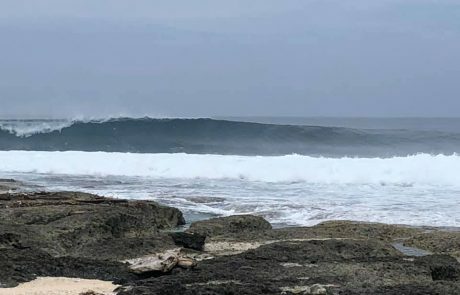 If you are looking for one last mission for south swells in Salina Cruz, come on down. 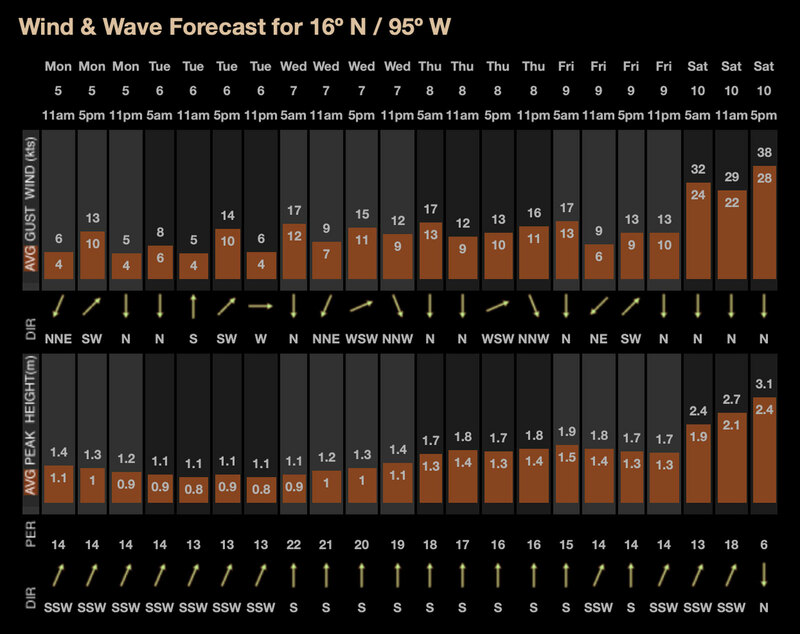 Winds are light and variable till Saturday with consistent bumps of swell all week. 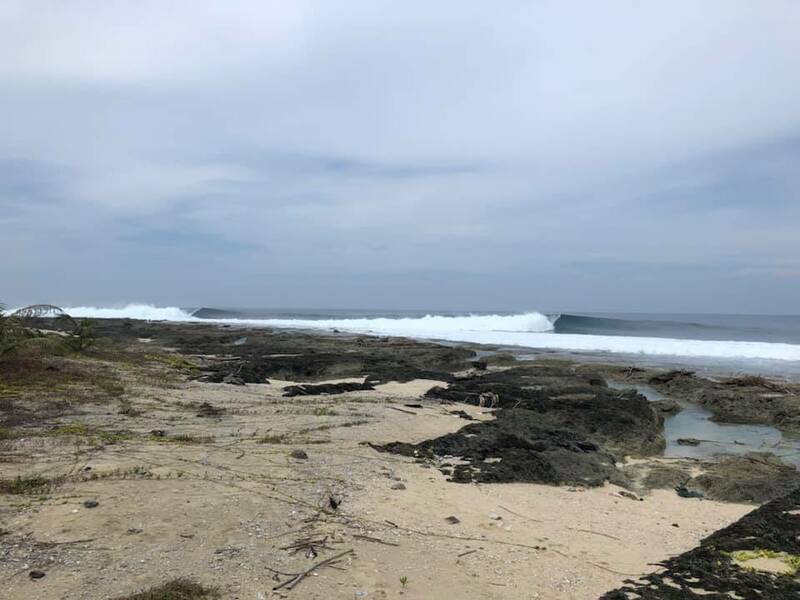 Come down to Las Palmeras Surf Camp for one last run of good swell, good sand, tides and minimal crowds.Low tides are early and late with light north winds at dawn switching to offshore in the evenings. Head high waves, 80 degree water. Sound fun? Earl and his son at Camp Asu, Indonesia. October Magic did not disappoint! Looking for a off the grid trip? Asu Camp has totally new facilities and is open through November! Come Celebrate Dia de Los Muertos en Oaxaca, Mexico! 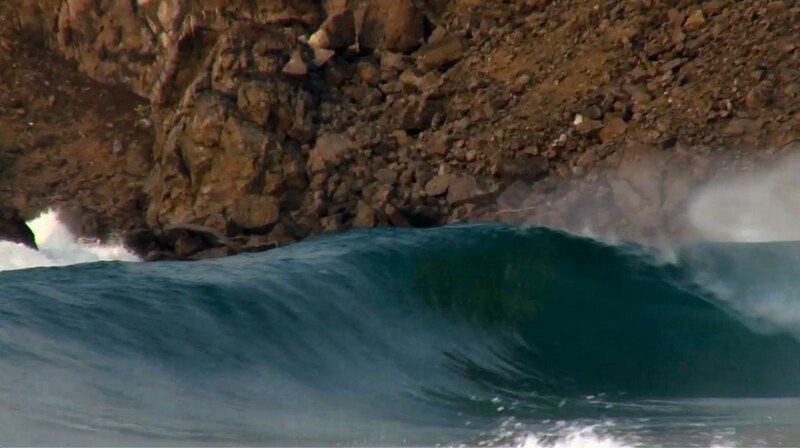 October was all time this year: Waves, epic sand and good winds. Amazingly, November is starting off the same way. 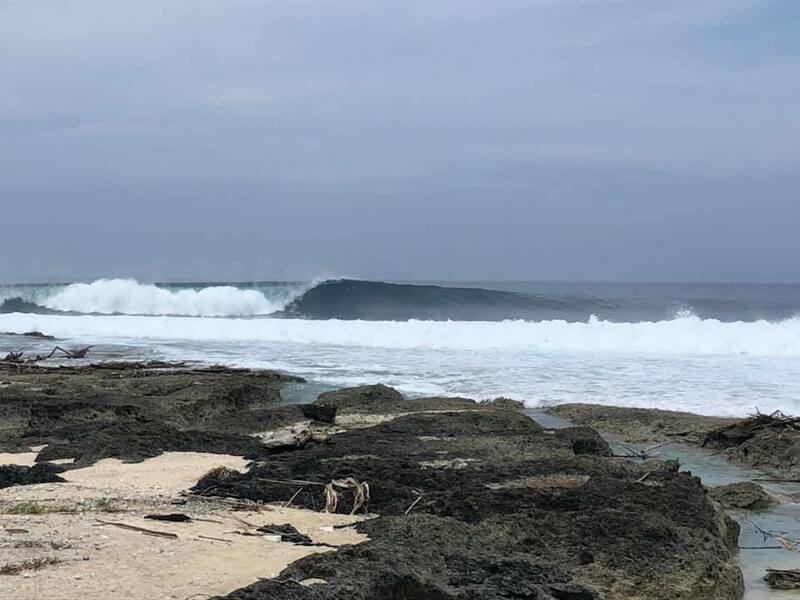 Come down to Las Palmeras Surf Camp for some amazing culture and fun waves. We are looking at a nice bump of southern-hemi swell and good winds starting Tuesday, October 30th. Clean conditions will prevail at least until the 3rd of November, possibly longer as the models are changing. 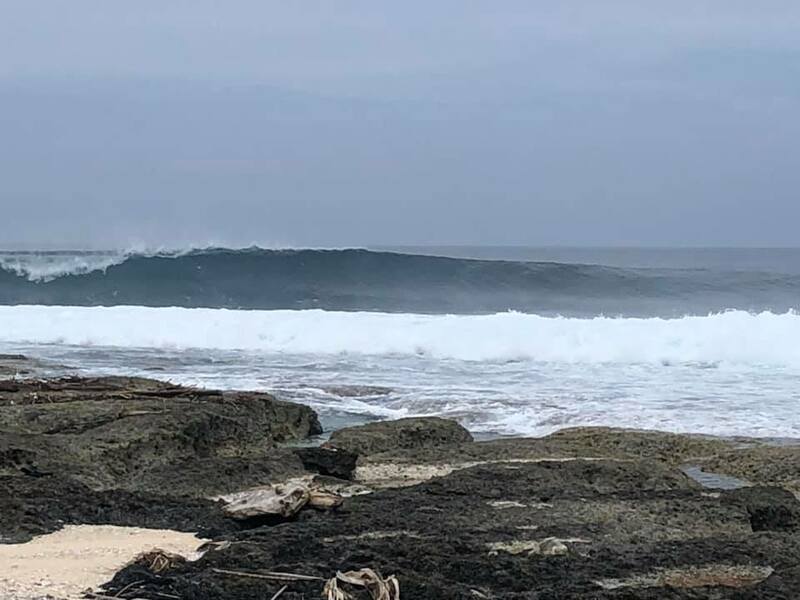 Normally the camp closes on the first of November, but David and Karla are going to stay open for Dia de Los Muertos and this next run of swell. 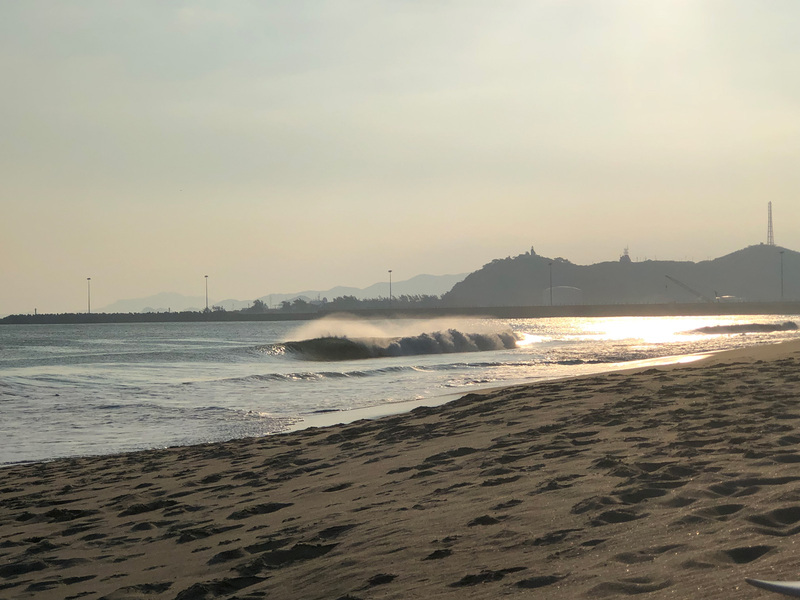 Where would you rather be celebrating Dia de Los Muertos than Salina Cruz, Oaxaca, Mexico? Let’s go!